Please accept my apology for not getting the 2013 trip report out sooner. As I have done the past few years, I asked one of the new participants to give us her perspective of her experience. Ginny, from Great Falls, Montana was kind enough to do so. In addition to the schools we were able to visit, we also were able to leave enough supplies to give to some of the schools that are so far away and are inaccessible by car. Luckily for us, there was going to be a big celebration in the town of Lares and these teachers were going to be there. 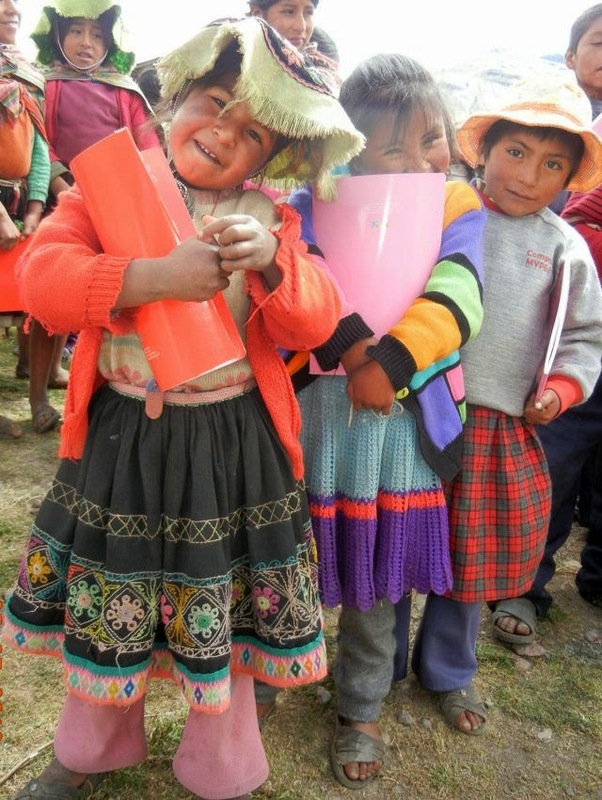 This was made possible by our trusted Peruvian friends, who were able to store and distribute the school supplies. They also are seeing that the desks and chairs for 2 schools are constructed and delivered. Without all of you who have so faithfully supported us for the last ten years and our Peruvian friends who help us in country, this work would not be possible! This was my first time volunteering to help with The Becky Fund organization and my first trip to Peru. 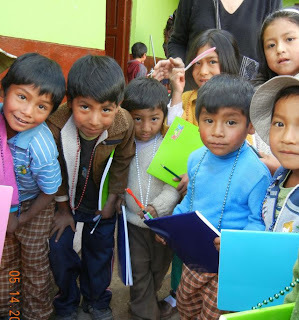 What a fantastic experience it was to invest time and energy in such a worthy organization Seven volunteers traveled with Dinny and our two Peruvian drivers to schools largely in remote mountain villages- often times to villages seldom visited by foreigners. We knew when the mountain road was especially treacherous as our driver paused and mode the sign of the cross before he continued carefully on! 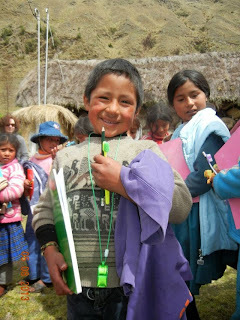 Participating with the project immersed us all directly into the Peruvian language, culture and customs. Should you volunteer, be sure to bone up on your Spanish language skills. All of the monetary donations given to The Becky Fund are spent on providing school supplies and worthy school improvement projects. We delivered supplies to well over 3100 students and more than 160 teachers! The supplies purchased by The Becky Fund included notebooks, pencils, pens, markers, multipurpose paper, maps, inflatable balls, and motivational stickers. School improvement projects included upgrading a school kitchen (in this case the rudimentary kitchen consisted of an open fire with no venting of smoke to the outside posing a health hazard), windows for a school (it's COLD in the mountains of Peru and often times students don't have warm clothing and shoes!) and desks, tables, and chairs for students. The teacher of one very poor school asked for a carpet so his students would not have to sit on the dirt floor of the classroom. Instead- and better yet- The Becky Fund will hire a local carpenter to build tables and chairs for this classroom thereby supporting the school and the local economy! At the volunteers' own expense as well as donations by dentists and others, this year's volunteers also distributed toothbrushes, toothpaste, clothing, and toys. As a volunteer be prepared to do without many of your own personal items to leave more room to fill your luggage with supplies for the kids! 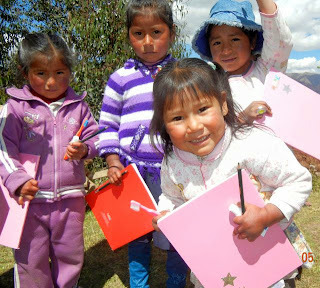 What a thrill it was to see children glow with appreciation when they were handed their own school supplies (their response was often like the delight we see in the USA when a child gets an iPod)! After the pencils were distributed, the kids were very happy when we gave them the empty box! The teachers were truly grateful to get the badly needed items for their classrooms-items that many of them have to buy with their own money if their classroom is to have any at all. When we went to one very small school, the teacher remarked in Spanish "Oh! I thought you had forgotten us this year!" 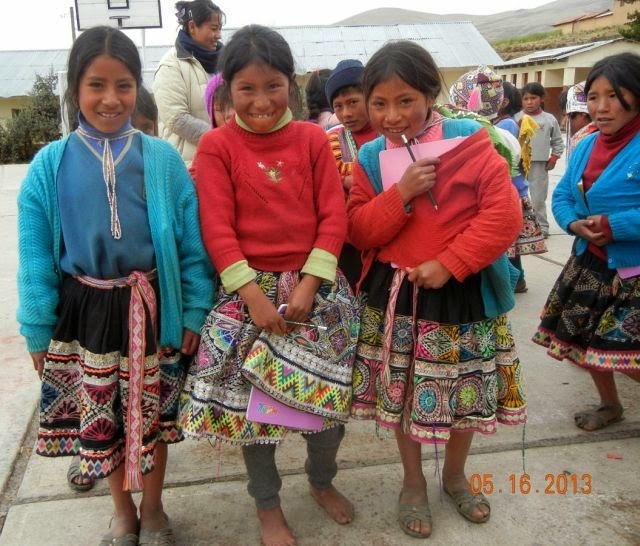 Clearly, The Becky Fund donations are greatly appreciated and well invested in Peru. The Becky Fund is all about emphasizing the importance of education to Peruvian students. At each school Dinny addressed the students and explained why they needed to study hard to learn skills necessary to help them have a better future. I hope to be a volunteer for The Becky Fund again! While working with the project I saw Peru for the first time in no other way possible. I highly recommend The Becky Fund organization to donors and volunteers.